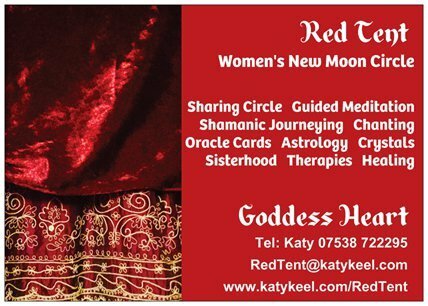 Sharing circle / talking stick ceremony, lunar astrology for the month, guided meditation, manifestations, global healing, and a monthly activity which could be yoga, shamanic journeying, healing, working with crystals, massage, belly dancing or a requested activity. Do you ask participants to bring anything, wear red or make a donation? : We charge a modest fee to cover the room hire, participants bring a dish to share. Red Tents mean a place where we can allow ourselves to fall freely into the universe and know we are totally supported by our sisterhood. We can show up and be authentic regardless of how broken or scarred by life’s betrayals we feel. We can share the beauty of knowing that within each of us is a powerful heritage… a lineage of sisters. We are reigniting that passion and joining hands as one to show our unity.